Recycling is green, and I recycled before recycling was cool, I even paid for a service to take my recycling every week because the city hadn’t caught on yet…that’s going way back. Green is the color of the beloved Muppet Kermit the Frog, and for some reason, for him, “It’s not easy being green”. I think that if Kermit ate greens, that he would feel great, empowered even, and that it would change his perspective on life, and that he’d start wearing the pants in the relationship with Miss Piggy, and that she wouldn’t be able to resist him and his green power! I'm also ga ga for greens, and bonkers for broccoli. I go through spurts of eating poorly, usually when I travel, and then I start to feel like I’m dragging. When that happens, I’ll eat greens, or broccoli, or sometimes even greens and broccoli, for a couple of days, and then everything is once again right in my world. I named this soup, thinking that I was sooo clever, and then I read the bags of mixed greens that I’d bought at Trader Joes…turns out I’m not that clever after all…I bought a bag of baby kale, chard, spinach, and it’s named “Power to the Greens”. 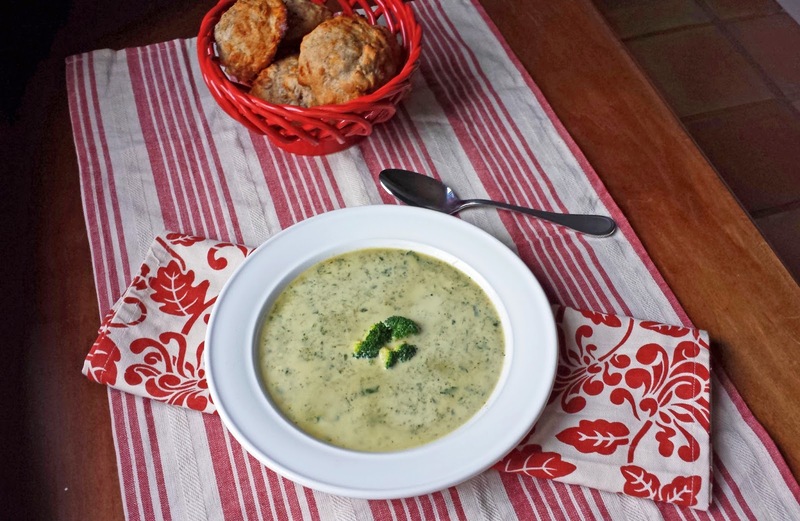 Well I like the name, and I did use the greens in this soup, so the name, Power to the Greens Broccoli Soup, stays! 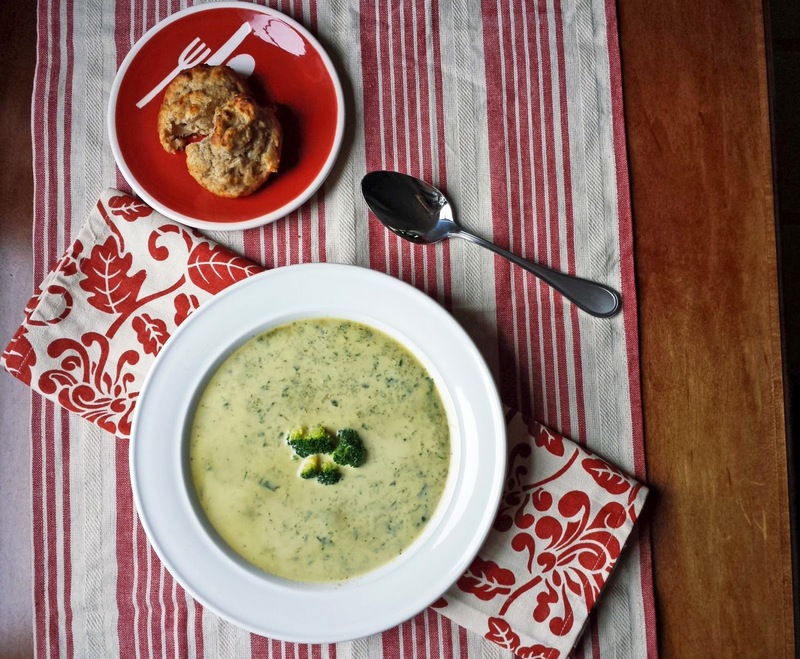 I made Power to the Greens Broccoli Soup, fully intending to make it a cream soup. 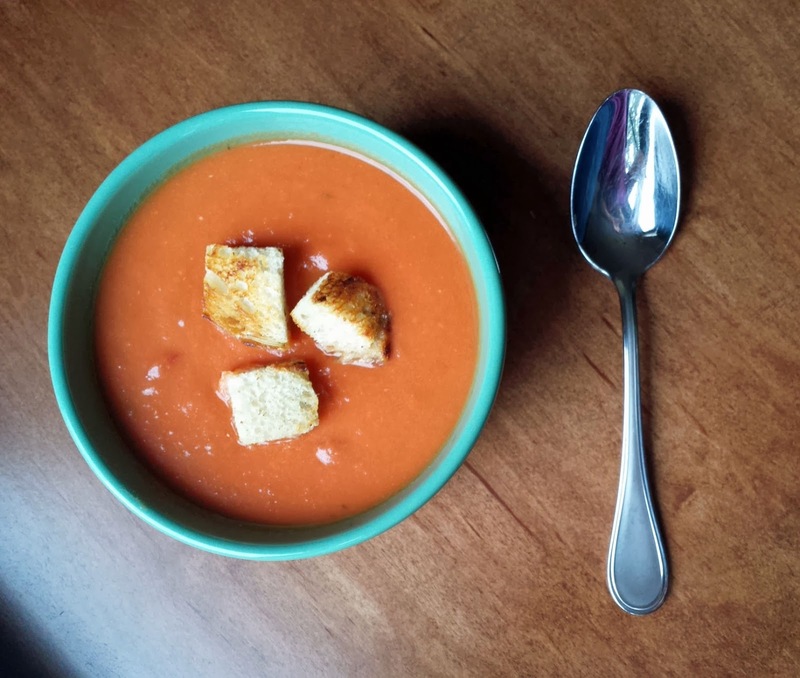 I tasted the soup before adding the cream, and it was dee-ee-lish without it! 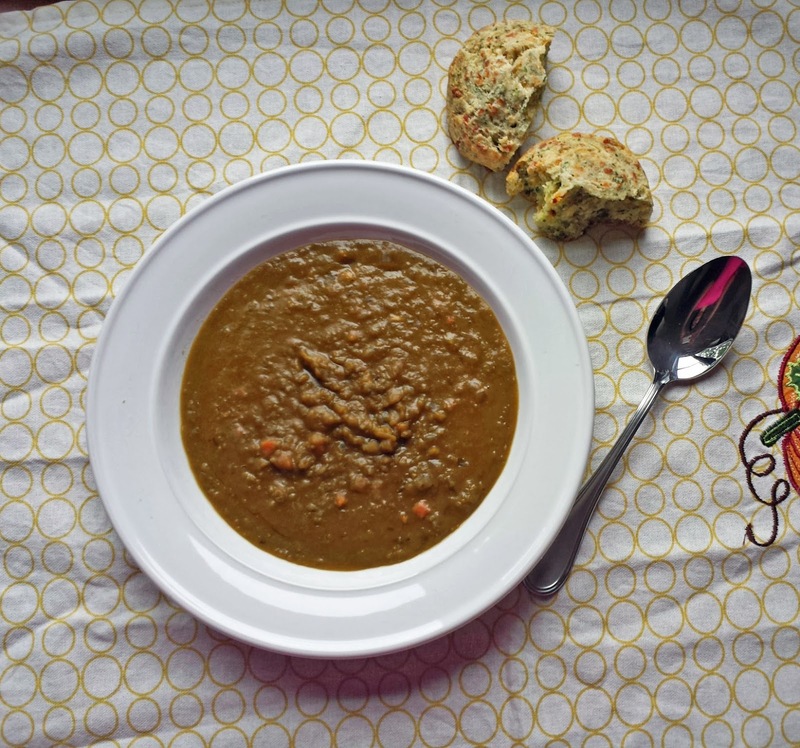 If serving it to kids or to anyone who is freaked out by green food, you may wish to add cream, but if you just want a really nourishing soup that tastes good, then fugget about the cream. 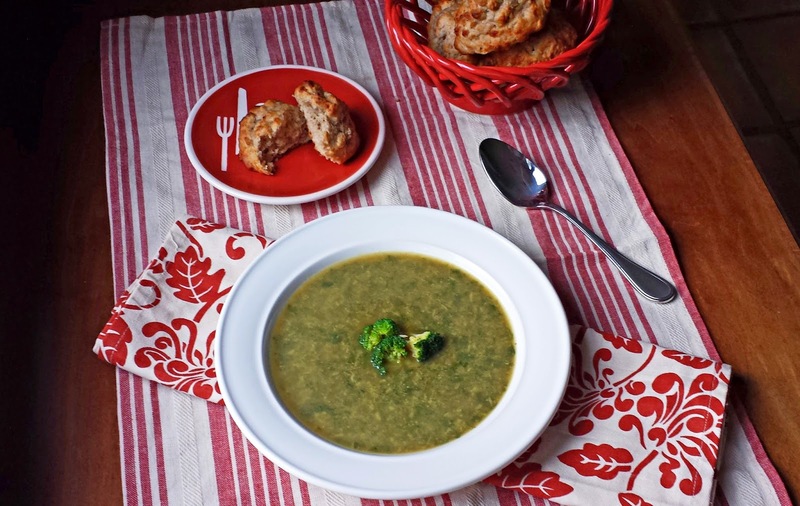 Power to the Greens Broccoli Soup is made in a little more than 15 minutes from start to finish, serve it with a slice of good bread, or biscuits and you have a quick, nourishing and delicious meal in no time! 1. Add the onions, garlic, olive oil and the cut up broccoli stems to a 3 quart sauce pan, with a pinch of salt. Cook over medium to medium-high heat, stirring occasionally until the onions and broccoli stems are soft. Add the dried thyme and cook for about 1 minute. 2. Add the bay leaf, water and stock to the pan, as well as salt & pepper to taste; bring the liquid to a boil. 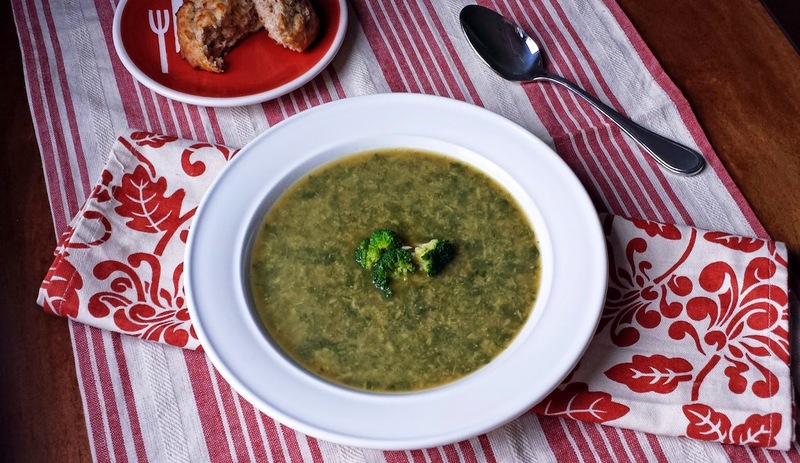 Add the broccoli florets and cook to your liking. Remove and discard the bay leaf. Stir in the greens and remove the pan from the heat. Blend the soup either with an immersion (stick) blender, or by pouring the soup into a jar blender and blitzing (take care with hot liquids in a jar blender). Taste for seasoning and add more salt & pepper if needed. Note: To make this a cream soup, reduce the amount of water to 2 ½ cups. Add ½ cup of cream to the soup just before adding the greens. I too love green! 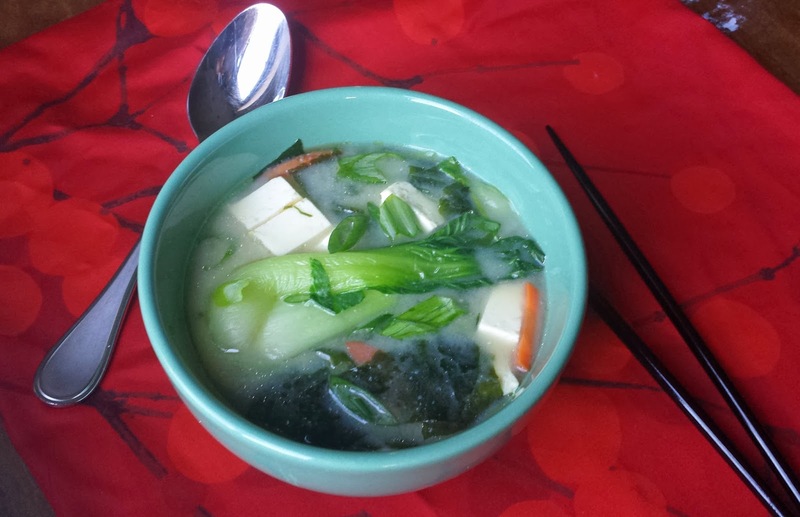 This soup looks super duper delicious and good for you too.